This guide is based on a car with a manual hood mechanism. There are minor differences on a car with a powered roof not covered by the guide. 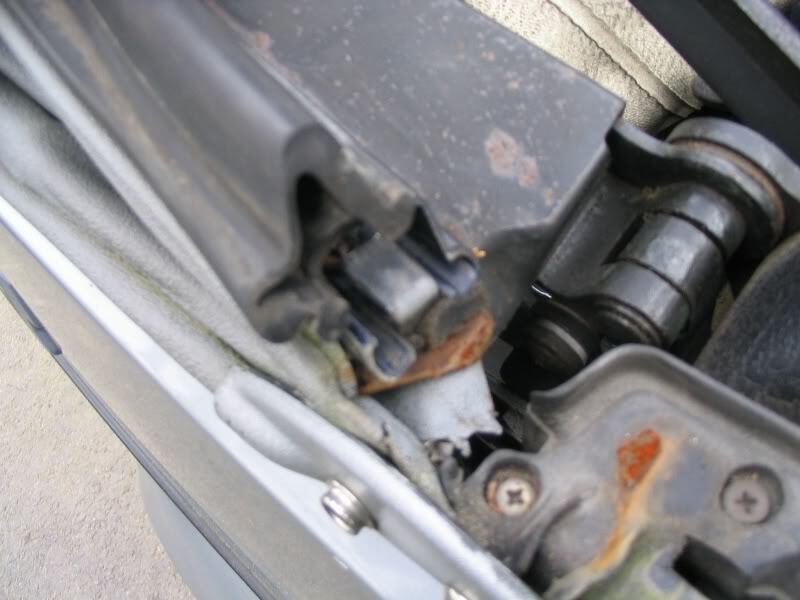 It might be advisable to turn the T shaped screw on the pump to allow the hood to be raised and lowered manually. This will allow the fitter to judge the tightness of the hood more easily. Please bear in mind that fitting takes a fully experienced fitter several hours & is not a job to be undertaken lightly. We cannot take any responsibility for damage to the hood or vehicle, howsoever caused as a result of following these instructions. 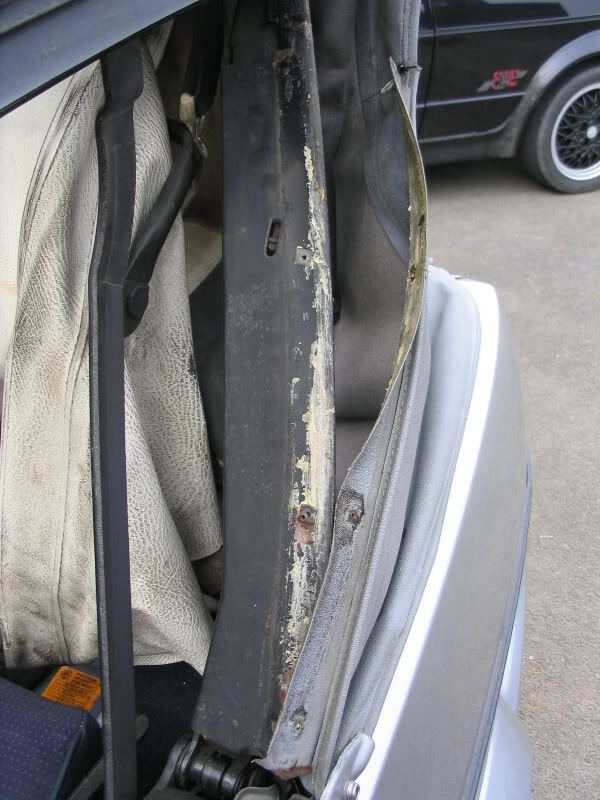 The "Mk1 Golf Owners Club" do not accept any responsibility for damage to the hood or vehicle, howsoever caused, as a result of following this guide. Bit of wood shaped like a bolster chisel at one end and flat at the other. Brushable contact adhesive glue (preferably Dunlop S1358) ? or other brand that has high melting point. Get a good feel for how the top fits to the car. Take pictures as you dismantle to refer back to if you feel there are areas that need more detail than the pictures show in this guide. 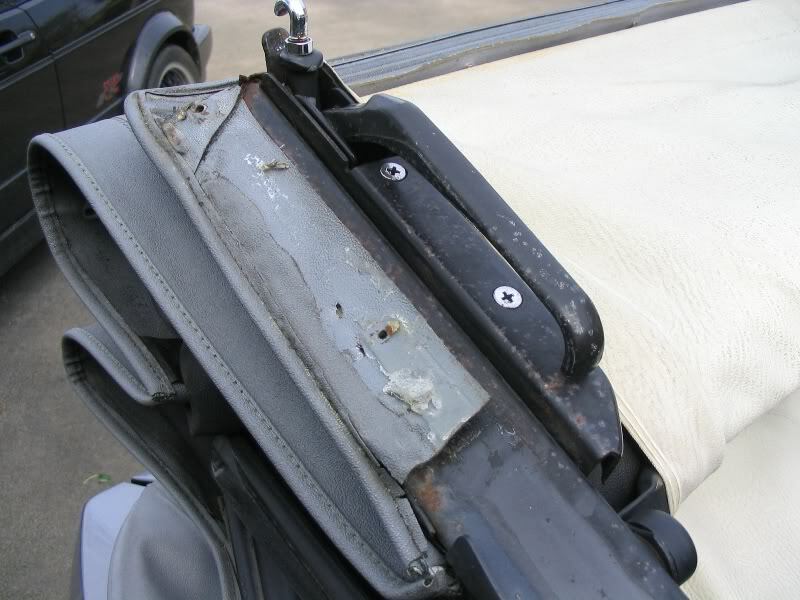 Removing the rear seat isn`t essential but it might help access some of the frame mechanism more easily. It might stop it getting dirty anyway. 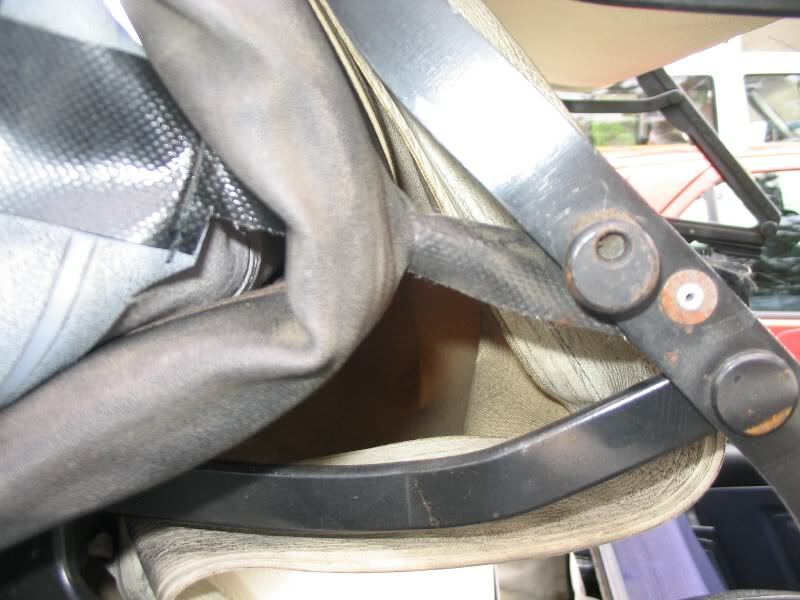 If you feel the need to, remove the base of the rear seat by removing the two screws at the front and then lifting the base out of the car. 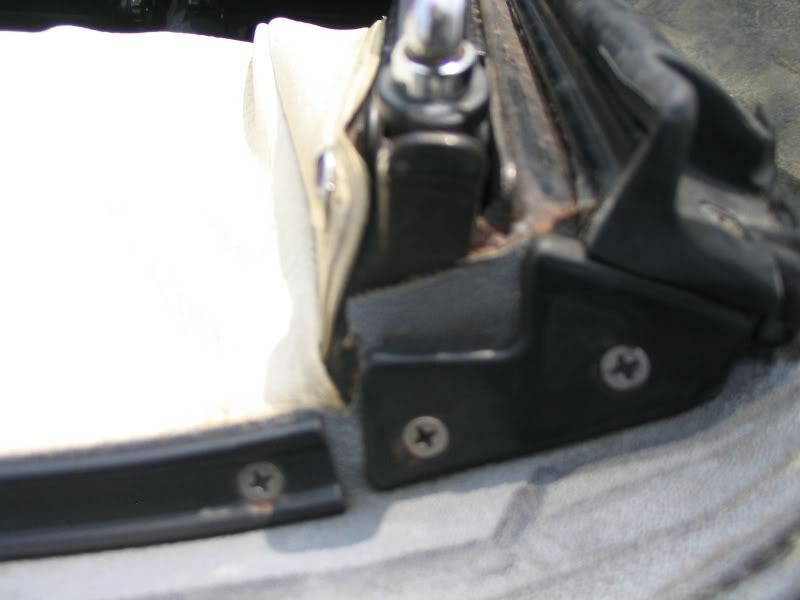 The backrest can then be folded down flat if necessary. Move the two front seats forward as far as they go and tilt them forward. 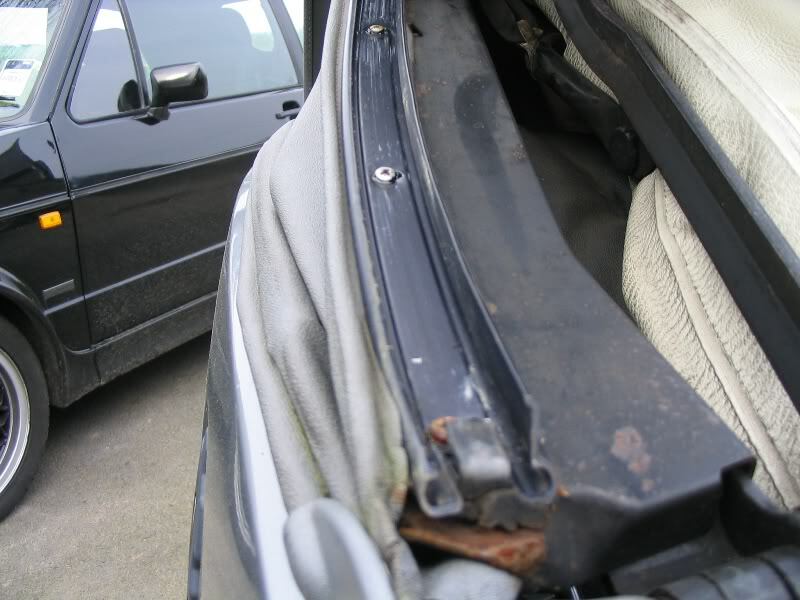 Remove the rear parcel shelf. 1. 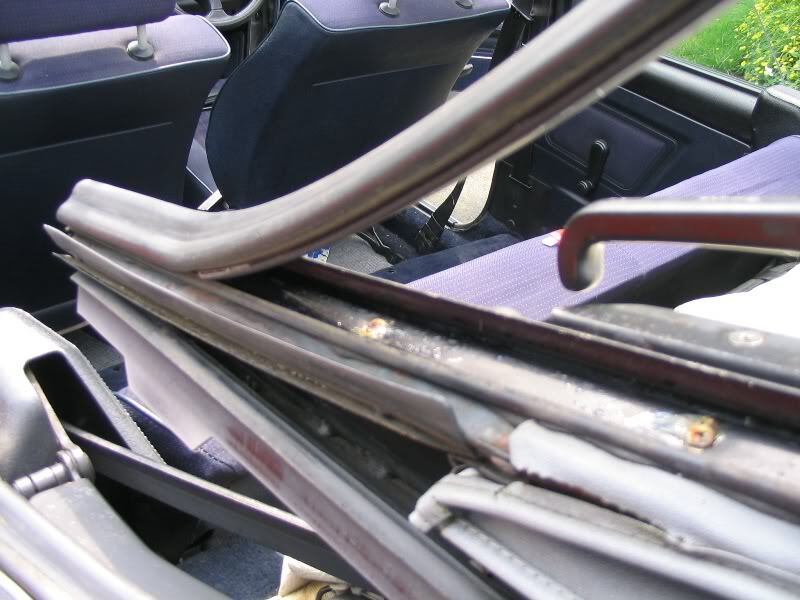 Remove the wiring to the heated rear window and then remove the window. 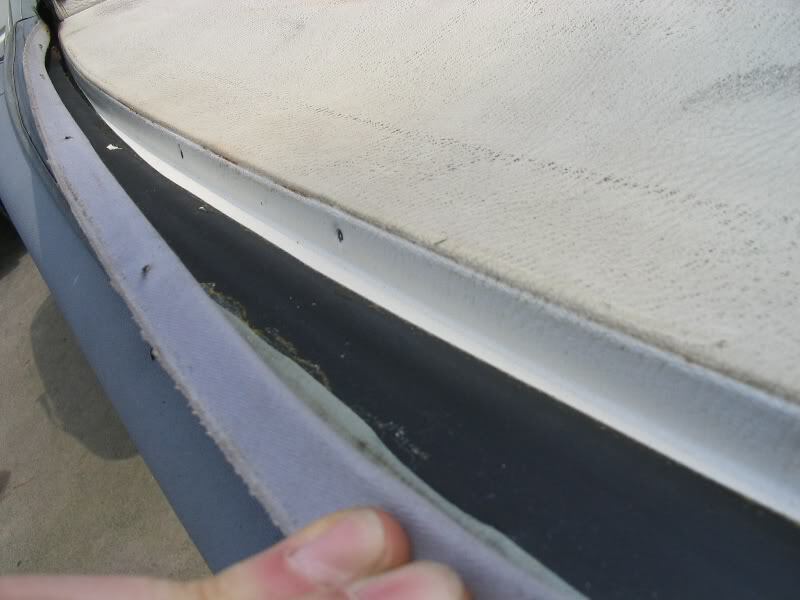 To do this curl the lip of the window`s rubber seal away from the frame in one of the top corners and push against the glass in that corner at the same time. Ease the seal lip away from the frame all the way along the top of the window whilst pressing against the glass. Push it out just so far so that you can get outside the car and pull the window the rest of the way out. Or get a mate to catch it if you like! 2. 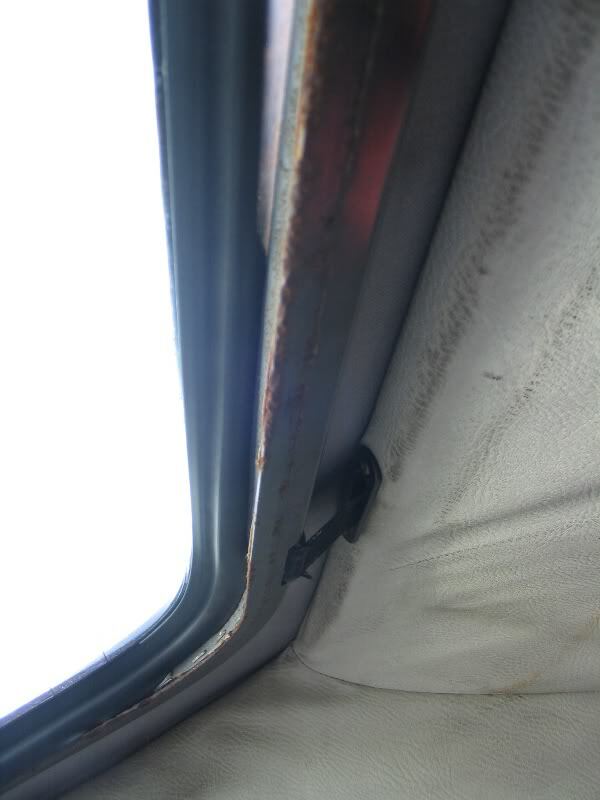 Lever out the staples that attach the hood to the window frame with a screwdriver or if the frame is so rusty that it needs replacing just cut the hood off the frame. 3. Move to the front of the car and open the hood fully. Remove the front and rear side seals. There is no need to slide the seals out. The front one has a screw to remove but after that`s taken out the seals can just be pulled off. Do this carefully so the black plastic clips at the ends of the seal brackets don`t snap. Once the seals are off unscrew and remove their brackets and then lever out the transparent screw clips from the hood frame where necessary. Pull the hood away from the sides of the frame. 4. 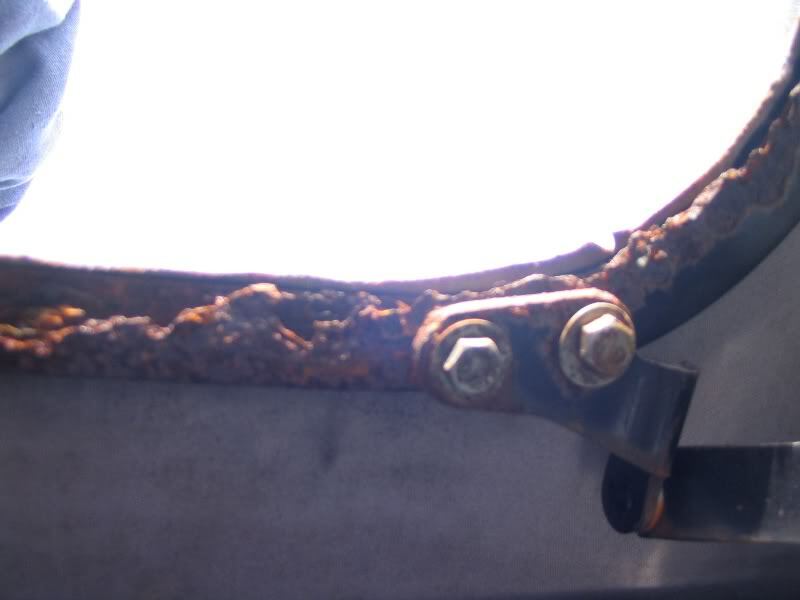 Unscrew and remove the metal strip and the two edge pieces that fasten the hood to the frame at the front of the hood. 5. Close the hood half way and drill out the rivet holding the strap in the centre of the hood to the frame. 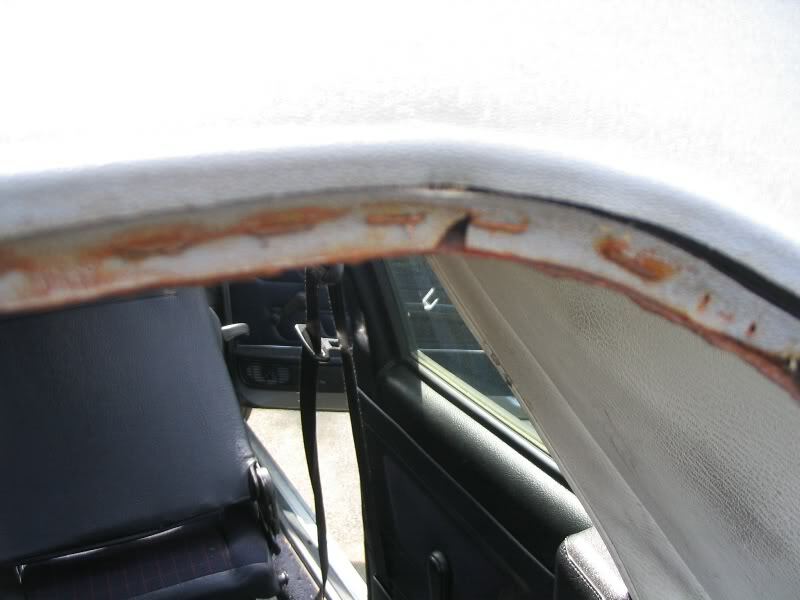 I live in south africa and am looking for a complete roof for a mk1 cabrio can u help? Very interesting article as I am about to attempt the job myself! Is the anymore to the guide, I assume there is, where will I find the rest of it. Appologies in advance if it's obvious! Hello, re-added all links to the pages of the guide.